This stylish pot with stand makes a stunning way to display a houseplant. 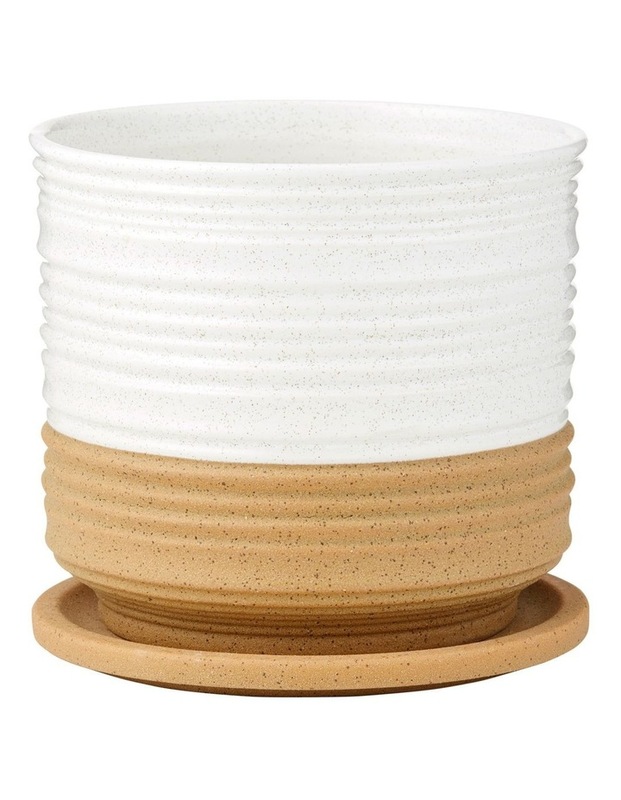 Its earthy ceramic planter features a two toned pot, whilst a terracotta saucer base provides contrasting tone. Bring it to life by adding a faux plant, or a living plant contained in a suitable inner pot. Tall grasses, cacti or compact monsterias will look particularly lush. A versatile size for styling on the floor or on a bench. For indoor use only.